Design: Norcon Industries. This gym has it all. 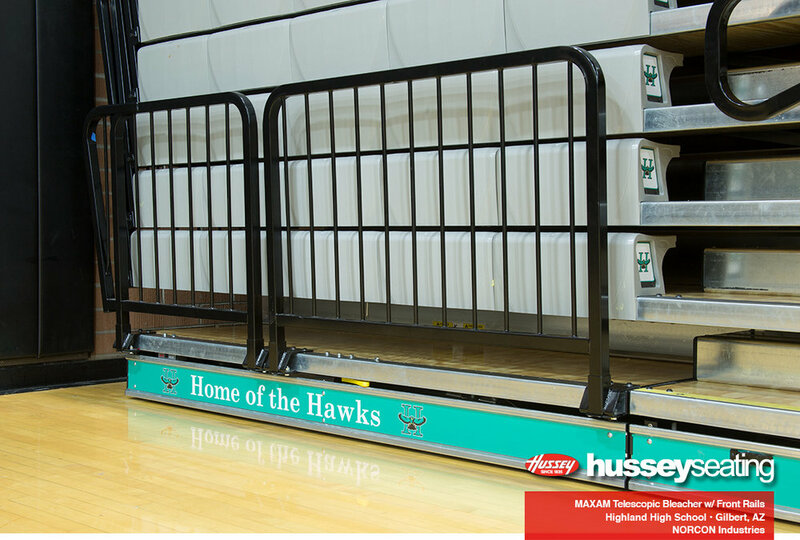 Xtreme Logos, Front Rails, Automatic Aisle Rails, CourtSide, and CourtSign logos. 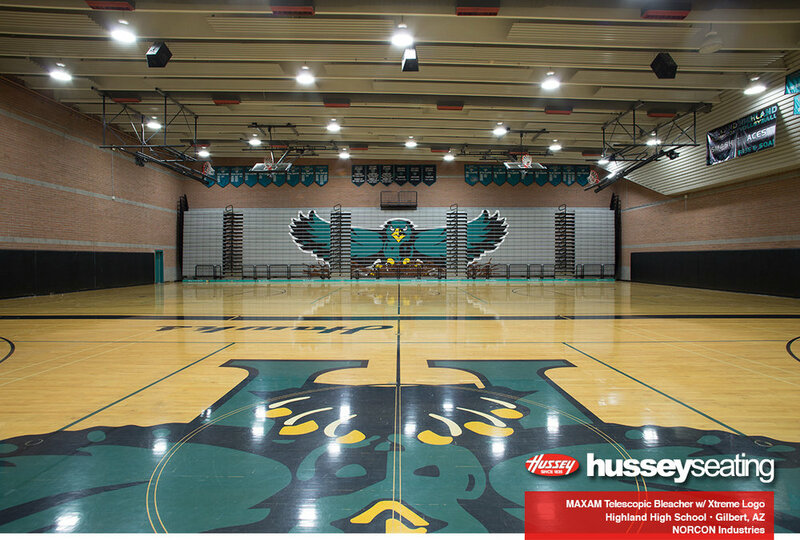 Another great example of creating a unique gym! Design: NORCON Industries. 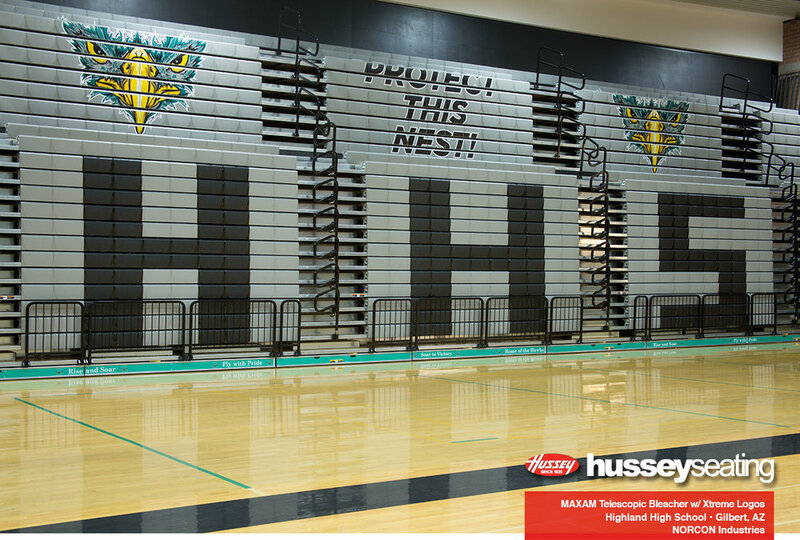 Highland High School in Gilbert, AZ puts the extreme in our Xtreme Graphic Logos. This gymnasium features two massive sets of MAXAM bleachers, one with 20 rows and the other with 15 for a combined seat count of over 1600 seats. 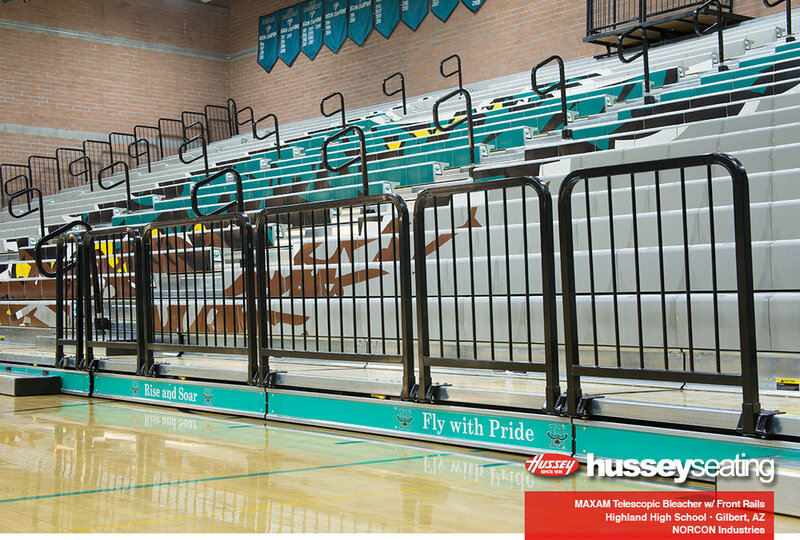 With the Front Rails, Automatic Aisle Rails, Media Platform, CourtSide and CourtSign logos this gym is the envy of the district.